Whey hey! There is sun. And warmth. Spring is springing just about everywhere. At least for today. 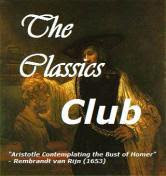 Basking in the rays, I finished the latest book in my Classics Club challenge. This Side of Paradise. F. Scott Fitzgerald. A somewhat languourous way to spend a Sunday morning, I must say. Firstly, there's always money. Coming and going. Being pursued and overtaken. And damaging. And his people. They are all so sure of themselves. So superior. And yet still so flawed. Making the most outrageous decisions. With debatable consequences. Flippantly disposing of people and things. Now this is no judgement. We are all flawed beings. In my not-so-humble opinion. And yet there are still wonders to be found in our imperfection. Amery is not actually repulsive. Despite his overt attachment to intellect rather than to humanity. His observations can be profound. Touching. If misdirected. In his relentless search for peace, there is the ever-present sense of the immortality, the infallibility of youth. And yet there remains a vulnerability. Shaken by challenges, failures. Mortality. And how heavily he falls into love. Into infatuation and the idea of love perhaps. But refreshing all the same to see his total immersion and obsession with his chosen beloved. For the time it lasts. Truly romantic. Throughout this work, FSF constantly changes and juxtaposes styles of writing. Flowing and mingling with the ideas and emotions. The confusions and distractions. It's bizarre but it works. I loved it.